Topic: Introducing Vocabulary, Learn the Greet, and Usage of Big, Small, Tall and Short. Skills: Reading, Speaking, and Creative Expression. Tool: PPSX- Touch and Learn. These are the second part of the PPSXs for the lesson MY FAMILY. You can teach vocabulary, greetings, and usage of big, small, short and tall. This PPSX has designed to learn the new vocabulary given in the textbook. When you touch on the picture you get the word along with the audio. You can open this on your mobile and ask your students to guess their names. If they can't then ask them to touch and listen to the audio. In this PPSX, I have introduced how to greet in a day. These pictures based teaching will help the students to learn the language informally and individually. So teach them in a situational way and practice with your students using this PPT. Interactive Touch and Learn Digital Content for the Lesson MY Family. Learner centered activities to teach MY FAMILY for primary classes. Class: 1st Grade Subject: English Unit: My Family Academic Standards: Listening, Speaking and Writing. Here is a set of activities, worksheets, and TLM to teach the MY FAMILY unit. I had carried out in my class and explained briefly to plan your teaching more engagingly. What is this? (You have to show the house first) Where do you live? Which type of house do you have? How many are there in your house? Who are they? What is your father? What is your mother? What is your father/mother name? What do you do with your brother/sister? 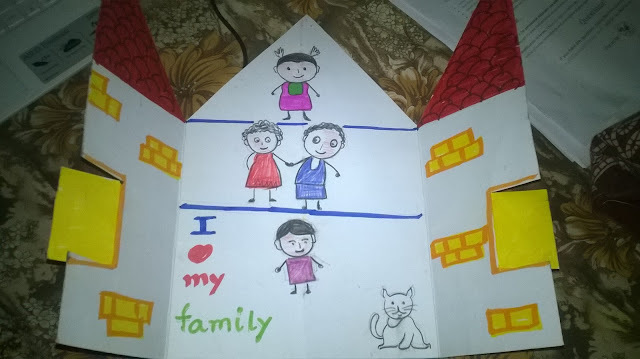 Do you love your family? Lesson: MY PET WORLD Rhyme Class: 2nd Academic Standards: Speaking, Writing and Creative Expression This is a good rhyme for the primary class children to introduce animals, birds and their actions. I transacted this rhyme totally active based and targeted speaking and writing standards. 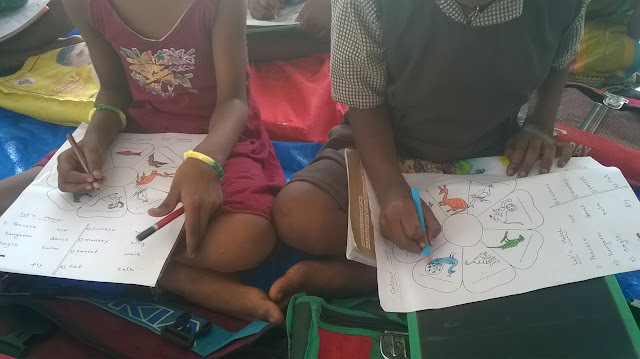 Children also learned and wrote about animals and birds very easily and achieved targetted standards. Cuckoo Cuckoo where are you? I'll come and learn how to sing. Monkey monkey where are you? I'll come and learn how to swing. Parrot Parrot where are you? I'll come and learn how to talk. Cat cat where are you? I'll come and learn how to walk. Peacock peacock where are you? I'll come and learn how to dance. Kangaroo kangaroo where are you? I'll come and learn how to hop. Eagle eagle where are you? I'll come and learn how to fly. Fish fish where are you? I'll come and learn how to swim.